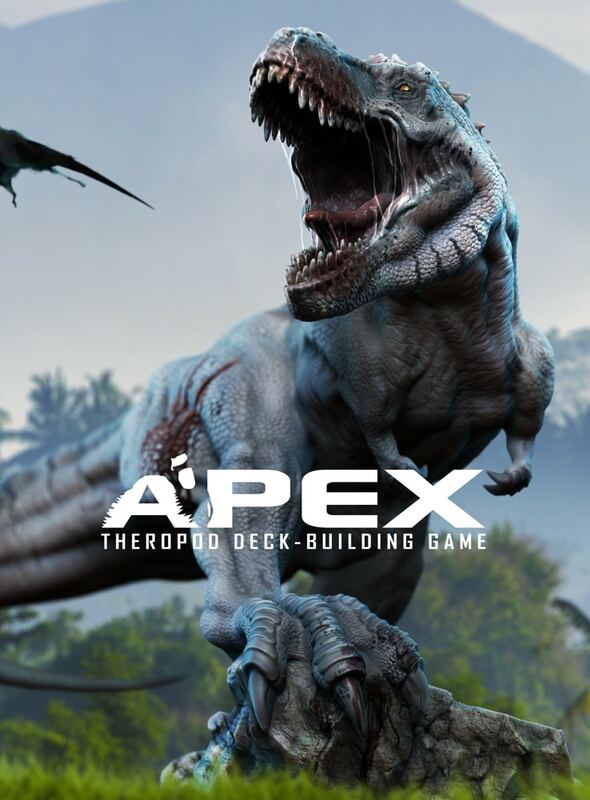 Apex is a dinosaur deck-building game where you play as one of nine apex predators competing for territory. Each playable apex predator has their own style deck that you must master to succeed with that dinosaur. Apex is a very brutal environment and the game will try and kill you throughout. The goal is not only to survive but to dominate the competition, literally. You must fight off other competing predators to control territories and win. The game will feature 60+ dinosaurs and 12 territories with each territory having it’s own territorial boss that you must defeat to dominate the territory. There is also Final Bosses in the game. The game supports 1-8 players which means it is designed to play by yourself or with up to seven friends. The game is huge and requires large play space to play up to eight players. The game is also very complex but easy to pick up on and keep track of everyone’s move.